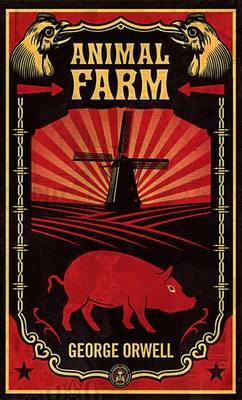 Anthony McGowan, Guest Editor June 2015 chose Animal Farm as one of his favourite short novels...."Orwell’s story of a farmyard revolution is one of the very few parables that works on both levels: his animal characters are so wonderfully drawn we come to love (or hate) them, share in their dreams, aspirations, and feel for their ultimate betrayal. Add to that the wider truths it tells us about power and injustice, and we have one of the greatest books of the twentieth century. 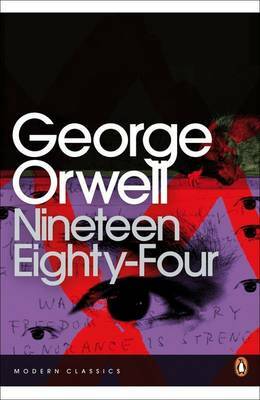 All in 144 pages …"
Animal Farm - the history of a revolution, under the leadership of the pigs Napoleon and Wellington leads to the animals taking over the farm but it all went wrong - is George Orwell's brilliant satire on the corrupting influence of power. John Walsh, author and Independent columnist: "Smart 11-year-olds won't need any pre-knowledge of Marx, Lenin, Trotsky and 1917 to appreciate this brilliantly-told fable."